The bill will increase the spending limit on what a brewer can give away for free to a consumer from the current 25 cents to $3.00, a 1200% increase. InBev is known for their tight and shrewd budgeting, and is especially known for being conservative on in-market spending. Giving away ball caps at promotional nights is – or was – the A-B way. InBev is expected to follow a different marketing strategy. Is it possible that A-B is pushing for a bill that might work against them once InBev takes over? It might be “business as usual” at A-B until the takeover is complete, but in a beer market the size of California, this may not be good planning for the near future. No other brewers are supporting the bill. MillerCoors, HUSA, Crown and others are all opposed. The bill has passed through the legislature and is now on the Governor’s desk awaiting a signature – or veto. 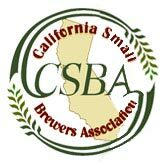 The California Small Brewers Association represents the interests of the craft brewing industry in California. The membership ranges from Sierra Nevada Brewing Company in Chico, the country’s second largest craft brewer, to a wide array of tiny brewpubs.